Event planning is a stressful job. You’re likely already aware that #eventprofs have the 5th most stressful job, listed just after police officers. As National Mediation Month draws to a close, let’s talk through some ways to help you unwind as well as strategies of bringing mindfulness to your events. Studies have shown chronic stress can negatively impact your mind, behavior, and health. According to an article published by the American Psychological Association, prolonged exposure to stress can lead to headaches, depression, substance abuse, disease, and an increased risk of heart trouble. The symptoms of stress can range from an upset stomach to serious medical conditions. So, it’s not something you should take lightly. You love what you do, and thankfully, there are plenty of ways to manage all the stress in your life. Stressors are all around you. But you don’t have to live with stress. You can make daily stress melt away by making simple changes in your daily routine. 1) Practice Meditation and Breathing – It’s mediation month after all. If you haven’t done it before, start with simple breathing exercises. Check out this article from Mindful.org. All you need is 10-15 minutes a day. Your mind and body will thank you. 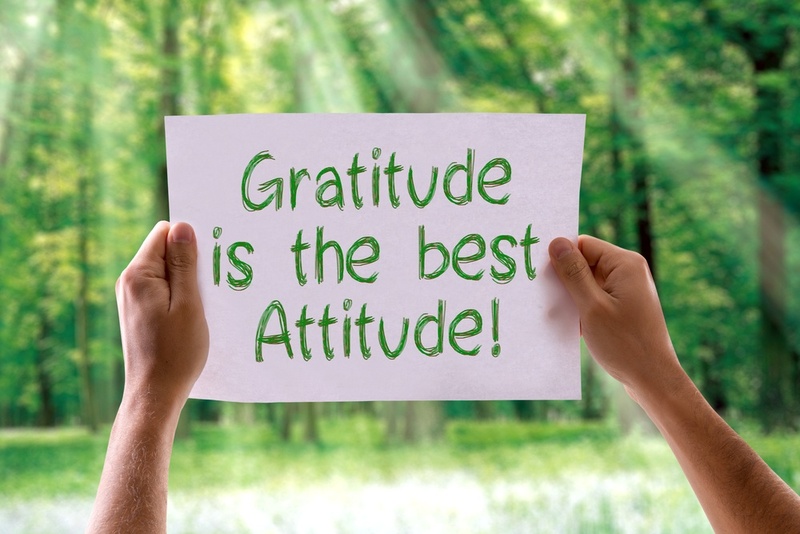 2) Take a Personal Inventory of Gratitude – Often, we don’t take time to appreciate what we already have. Take some time each morning to be thankful for all the positive things in your life. Doing so will help you battle stress and start each day with a clear mind. 3) Unplug From Your Technology – Emails, social media, phone calls, and texts invade your day and disrupt your planning. Take time each day to unplug. It may seem strange at first, but you’ll learn quickly to appreciate the quiet time away from your electronic devices. 4) Walk, Run and Exercise – Increasing your activity level and commitment to exercise is one of the best ways to fight stress. Exercise releases natural “feel good” chemicals in your brain, and helps you forget about your troubles. Get out there and move. 5) Have Some Fun With Friends – Laughing and relaxing with your friends is another great way to forget your problems and reduce your levels of stress. Don’t linger on each other’s troubles. Have fun, waste time, and talk about things that make you happy. 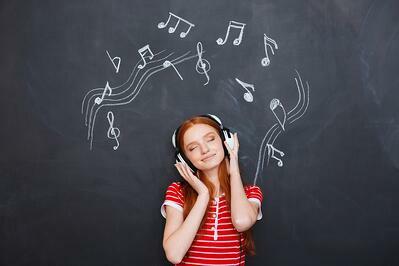 6) Listen to Relaxing Music – This article on the power of music to manage stress by PsychCentral illustrates the power music can have on your emotions and attitude. Listening to relaxing music can help you prepare for a stressful event, as well as recover from a stressful experience. 7) Be Present in the Moment – Don’t spend so much time worrying about what could happen, or what the future might bring. Instead, be present and take in all the small wonders that surround you each day. Take a walk outside. Appreciate being alive and forget about things you can’t control. When you’re stressed, your mind and body suffer. And the negative impacts spill over into your personal and professional life. If you aren’t on your game, your attendees will notice. Try a few, or all the tips above to help manage your daily stress. But don’t stop there. Pass along the good feelings to the attendees at your events. You’re not the only one who struggles with stress. Your attendees face their own mental and physical obstacles each day, as well. As an event planner, part of your job is to make sure your guests get the most out of your event and have an enjoyable time. That includes creating an environment that helps them connect, and forget about their typical daily routines. Plan Outdoor Activities in Open Spaces – Most people spend their working lives in cubicles and offices. Help your attendees relax and unwind by planning activities in open spaces or outdoors in the fresh air. Create Downtime for Your Attendees – Don’t overwhelm your attendees with rigid schedules and deadlines. They get enough of that at work every day. Open your event schedule and give your attendees the freedom to choose the content they want to see. Promote Networking and Social Interaction – As we mentioned earlier, spending time with friends and socializing is a great way to reduce stress. 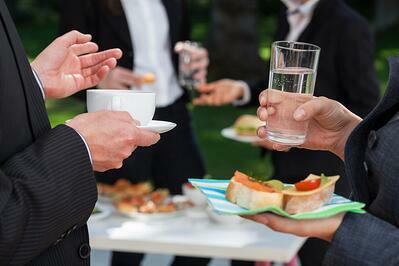 Plan your events to include networking activities and time for social interaction. Your attendees want to network anyway, so help them achieve their goals and combat stress at the same time. Learn more about networking at events here. Add Some Fun and Gamification to Your Event – Ready to take stress-relief and your event to the next level? Create fun and excitement by combining a mobile event app with gamification features. Achieve your goals, entertain your attendees, and create an unforgettable event. You can learn more about event gamification here. Leverage Your Sponsors, Presenters, and Vendors – You’re not in it alone. Your event features other stakeholders like vendors, sponsors, and speakers. Make sure they’re on board with your low-stress plan. Encourage them to create entertaining content, fun activities, and engaging presentations your attendees will love. Help everyone at your event forget their troubles and unwind at your event. Add value, encourage social interaction, and create an open schedule at your next event. Your attendees need a break, too. Help them leave stress behind, and they will rave about everything you’ve created for them. Managing your stress and the stress your attendees feel at your event is in your hands. Use the tips in this article to unwind, unplug, and appreciate life. If you need more useful tips on removing the hassle from your events, we’re standing by to help. 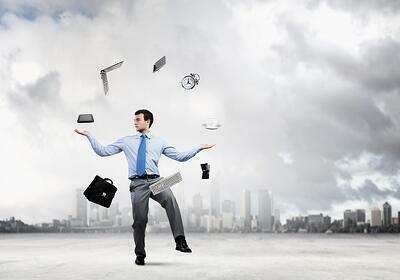 Contact us today to learn how our mobile event apps can make your life less stressful.